The Eliminator 120 by Aaladin is a great way to get rid of your waste oil and diesel while creating substantial heat without costing you a dime. This machine has manual ignition and can be run 24 hours a day. 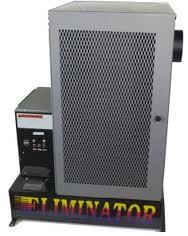 We use the Eliminator 120 to effectively heat our service area which is 3,500 sq. foot and 22 foot high ceiling. (Please note: user needs to light unit before operation). Reliable- Control box with integrated circuit board lights makes operation easy and reliable. Easy Access- Control box hinges to provide easy access to stainless steel pump. Easy Cleaning- Chamber door hinges to provide handy access to vaporizer pan for easy cleaning. Clean Burning- Patented air wand assembly gives even distribution of air to provide clean burning of waste oil. Fuels- Will burn waste oil, new oil, vegetable oil and transmission fluid. Thermostat- Comes standard with a remote thermostat that has 15 ft of cord length. 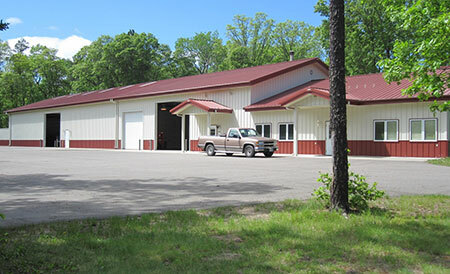 Get All Your Eliminator Heater Parts and Service at Rudbecks – call 218-692-4759!